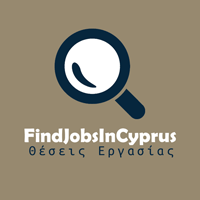 Staff wanted for working at the housekeeping department and at the snack bar of a hotel in Ayia-Thekla area. Knowledge of English is required. Full time, 6 days a week. If interested, please call at 23-744866. Thalassines Beach Villas is a secret private paradise close to Ayia Thekla, a small beach named after the old small church which is there, and one of the best Sotira accommodation, plus they are designed and created by the well known Cypriot sculptor Andreas Limbourides.